Barbara Boch in an undated photo. Barbara Boch never needed an excuse to gather her family close, but Christmas was always a time for her to revisit traditions and create new memories for her four children, 10 grandchildren, their spouses and close friends. The family’s Edgartown vacation home on Martha’s Vineyard “was always decorated to the nines. The Christmas tree was gorgeous. Nobody did ornaments like she did,” said Mrs. Boch’s daughter Donna of Westwood. Mrs. Boch, whose health had been failing, died Wednesday in the Norwood house that had been her home for nearly 60 years. She was 86. 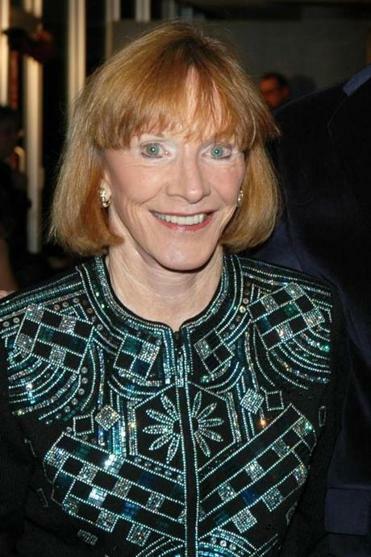 When her husband, Ernie Boch, died in 2003 they had been married for 50 years. He had built a string of auto dealerships into an empire and became an iconic TV presence, calling out “come on down” in a series of advertisements. Mrs. Boch, meanwhile was the steady presence behind the exuberant man in the ads. In a Globe Q&A about offering good advice for handling finances, Mr. Boch said in 2000 that he routinely turned the bill-paying over to his wife. “She’s the organized one,” he said. “In most cases, if you find a strong guy, there’s an even stronger woman behind him, and that was the case with my mother,” said her son, Ernie Boch Jr. of Norwood, who has sold most of the Boch dealerships, except for Ferrari and Maserati, but remains the spokesman for Boch Enterprises. As philanthropists, Mrs. Boch and her husband gave away millions, notably to arts organizations. In their house with its commanding views of Edgartown Harbor, the Boch family has also hosted picnics for Camp Jabberwocky, the summer camp on the Vineyard for people with disabilities, and Water Tasting by the Sea fund-raisers for Vineyard House, a sober living center. The oldest of three children, Barbara Ann Lyons was born in Boston and grew up in Jamaica Plain. Her father, Walter Lyons, was a bartender. Her mother, the former Dorothy Prouty, was a homemaker. Mrs. Boch graduated in 1948 from Jamaica Plain High School and was working as a teller at New England Merchants National Bank when she met Ernie Boch. “They struck up a friendship and then they struck up a relationship,” their son said. Much of her time in the ensuing years was devoted to raising their four children and assisting with activities connected to their lives — the PTA, school libraries and music programs, and the swim team. “My father worked a lot and she was a hands-on mom — no nannies,” Karen said. Mrs. Boch also helped run fund-raisers and served as a leader for local Camp Fire Girls and Girl Scout troops. Over the years, Mrs. Boch befriended some of her children’s friends as well, welcoming them into family traditions and into her home. In addition to her son, two daughters, and 10 grandchildren, Mrs. Boch leaves her daughter Beth Joyce of San Diego; a brother, Robert Lyons of Valrico, Fla.; and three stepchildren from her husband’s previous marriage, Tina, Pamela Buzzell, and Dale. A funeral Mass will be celebrated at 11 a.m. Monday in St. Catherine of Siena Church in Norwood.